Maybe the gap between the Greatest Generation and Generation Z, or the chasm between Baby Boomers and Gen X, isn’t a divide at all; perhaps we just haven’t had the right tools to see the thread that connects us, a thread woven into our very DNA. October is Family History Month, a time to reflect on where we come from and all those who came before us. 23andMe offers people a different way to learn about themselves and their families, giving families an opportunity to see the DNA they share across generations. 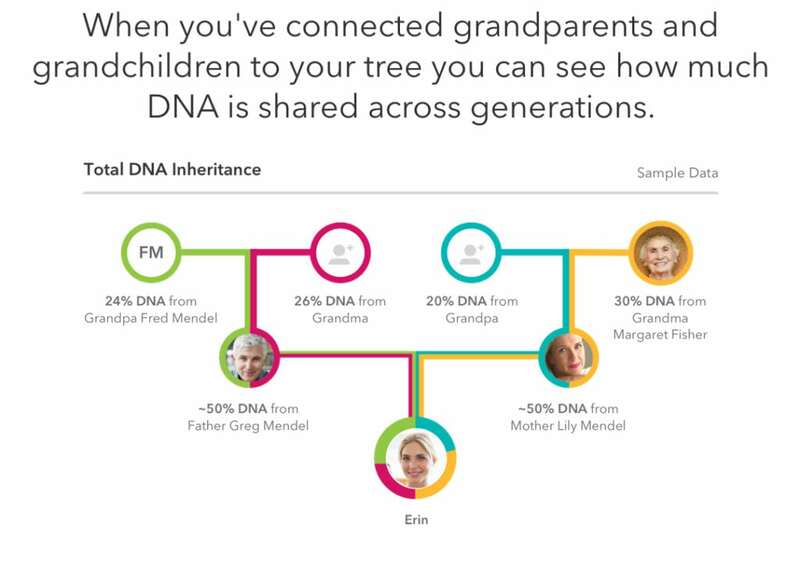 23andMe’s newest tool, GrandTree, allows families to connect deeper across three generations, letting them see the thread that ties grandchildren to their grandparents. If a grandchild, and a grandparent are 23andMe customers, and they are sharing their 23andMe results with each other, GrandTree allows them to see more than just the percentage of DNA that they share. It also allows customers the chance to trace a trait through generations. Showing if a grandchild got their red hair largely from one grandparent or another, for instance. If a grandparent or grandchild hasn’t yet tested, 23andMe makes it easy for customers to invite them to sign up. Looking at DNA offers a unique way to connect across generational lines, and the GrandTree tool is just one of many features 23andMe has to do that. Customers can also use 23andMe’s Share and Compare feature to see what traits and ancestry they share with a brother or sister, or their parents, or children. You can even see the overlapping segments on each chromosome that you share. You can go deeper by using the DNA Relatives tool to do something similar but also compare yourself with a parent, grandparent, child, (or anyone you share with), and see detailed segment data. Beyond that 23andMe’s Ancestry Composition feature, which highlights the mix of places where your ancestors came from, includes a feature that allows you to compare your DNA to your parents’ — if they are using 23andMe — and see a “split view” of what ancestry came from your mother and what came from your father. 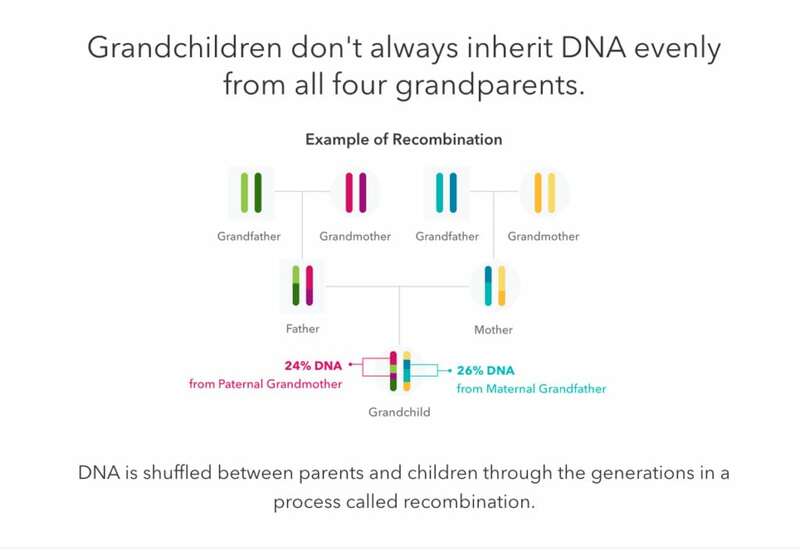 When families use 23andMe together, they connect in a different way, tracing the thread of traits, and ancestry, that links child to parent and grandparent, bridging the gap between each generation.